Not all nap mats are created equal. Just ask my preschooler and she will tell you with utmost sincerity the major importance of her nap mat at preschool. Every Friday we take home her nap mat from school to wash and return it lovingly to school the following Monday. 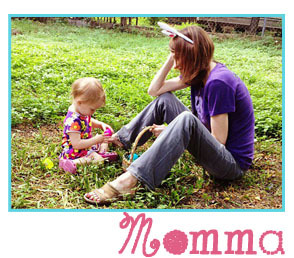 My daughter likes soft and fuzzy fabric and she REALLY loves the colors pink and purple. “They are MY FAVORITE!” she exclaims almost on a daily basis. Brie has had her nap mat for two years now and it was getting frayed on the edges, the hook was broken, and the pillow would always slip out and get lost. I knew we needed to get her a new one, but since she is now a VERY particular three year old, it had to be one to her liking. 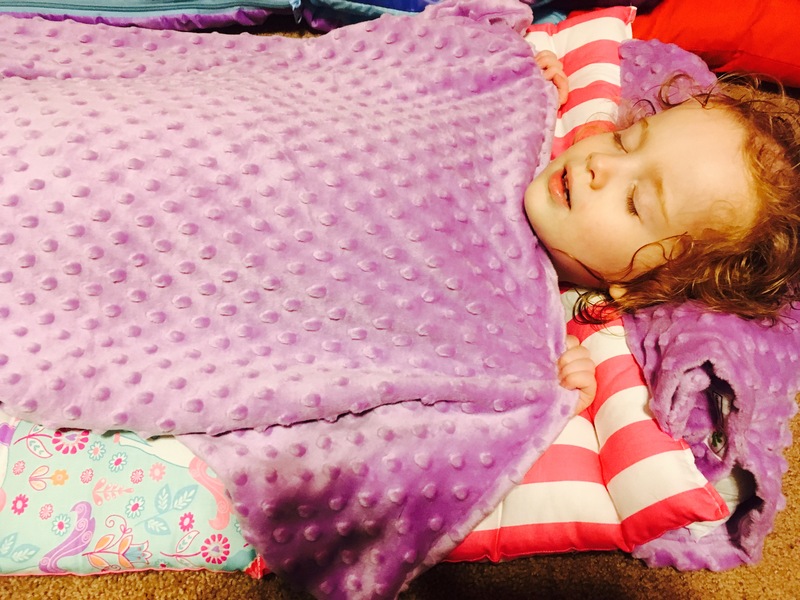 I’m happy to say that Janiebee Quilted Nap Mats are AWESOME! Unicorn Princess! Besides pink and purple, Brie confesses her love of the My Little Pony Twilight Sparkle whenever she gets a chance. Every time she and her older sister play, Brie wants to play unicorn princesses. Brooke is not as amused, but as a good older sis, she tolerates Brie’s love of all things MLP. 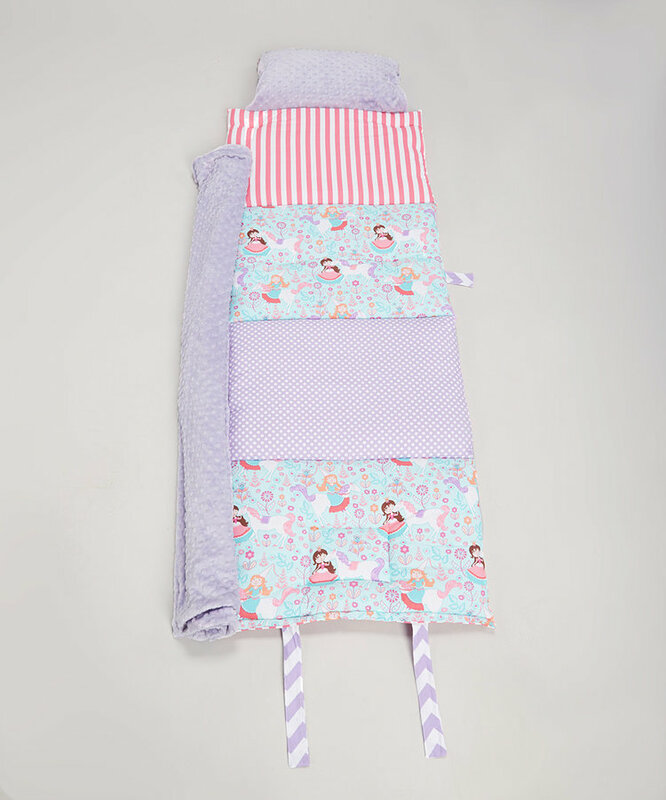 Janibee’s Unicorn Princess mat is quilted and personalized for a aweet nap mat for your little princess. The colors and patterns are so adorable in aqua, hot pink and lavender with perfect ties and a personalized name included for an extra fee. Brie couldn’t be more excited that her new nap mat fits HER personality this time. 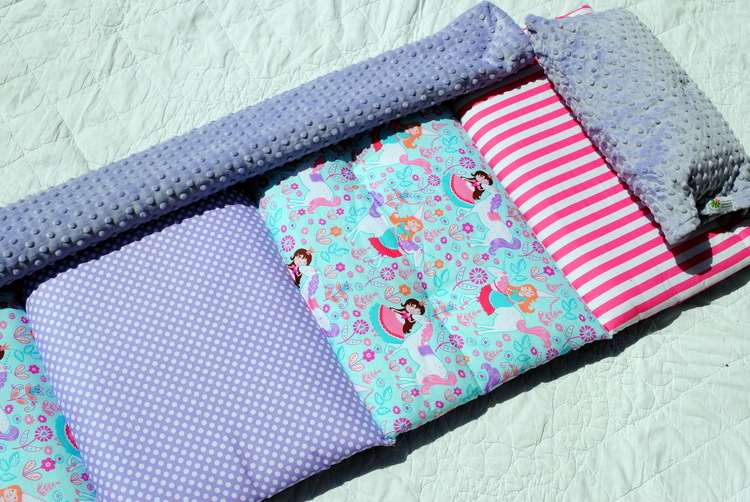 This nap map was inspired by Michael Miller’s fabric, Unicorn Princess. It includes a lavender blanket and pillowcase that is OH SO SOFT. 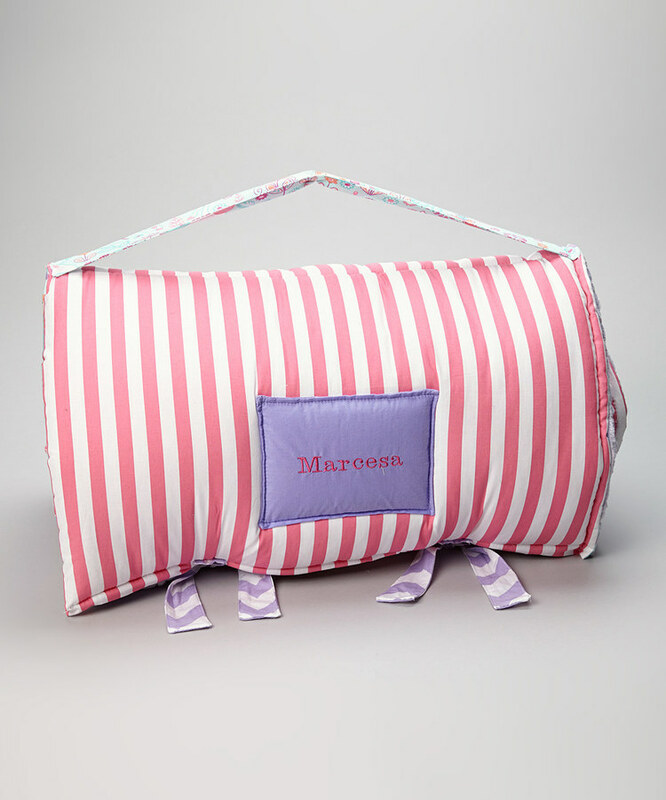 The backing is in hot pink with a white clown stripe and the ties are in lavender/white chevron. We love that it has Brie’s name personalized and – gasp – you can also get a three piece matching set that includes a backpack here. LOVE!